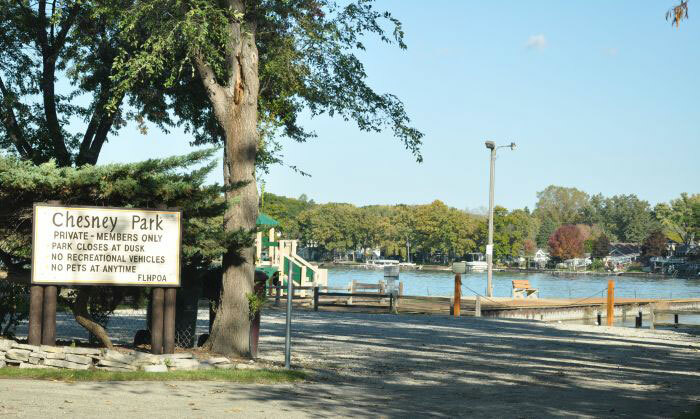 The parks and bay areas owned by the Fox Lake Hills Property Owners Association are for all members of good standing who live within the boundaries of the association, not just those that live within that unit. 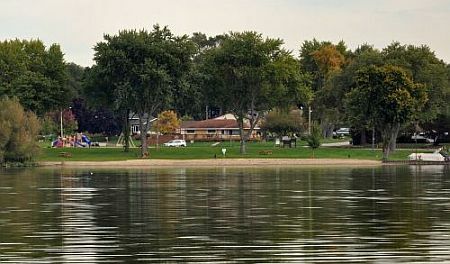 Bayview has one large park with a little of everything. It's located on the eastern shore of Stanton Bay, with a small beach, a harbor with slips for keeping boats during boating season, a large grassy area with a few picnic tables, a large picnic pavilion available for rent and equipped with electricity and with more picnic tables, playground equipment, and even a pickleball court! Like Bayview, Chesney Shores has a boat ramp and park. This harbor, set on Columbia Bay, is strictly for launching boats; there are no slips. 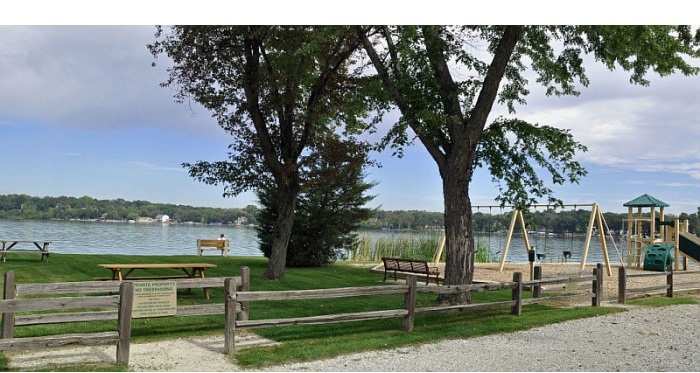 A small grassy area, picnic tables, and benches make for a quiet spot to have your lunch and watch the activity on the water while the kids enjoy some time on the playground equipment. Chesney Shores also has John Rule Park , with playground equipment, a full basketball court, and an area of grass large enough for a game of touch football or frisbee toss. Set along the western edge of Grant Woods Forest Preserve, Orchard Gardens is but a moment or two away from trails for walking, running, or biking, and plenty of opportunities for photographers, birdwatchers and nature-lovers. 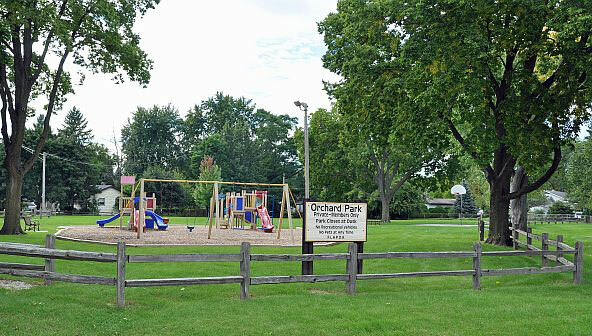 Within the unit, Orchard Park has a large grassy area, picnic tables, a half-court basketball area, and a large playground area.